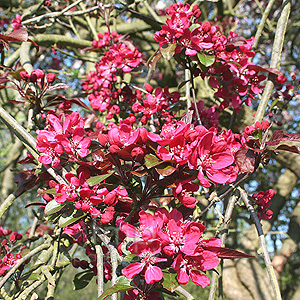 Find out where you can buy Malus X purpurea - Lemoinei (Purple Crab Apple) online. This tough small flowering tree prefers a fertile well drained soil in full sun or light shade. 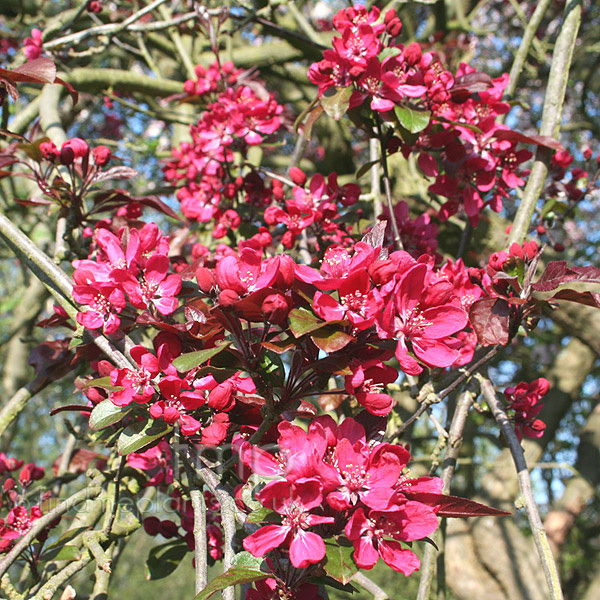 Malus will tolerate a cold spot but avoid planting in windy exposed or very dry areas. Prune to shape during the winter months but avoid excessive pruning. Did you know you can display our images on your website or blog for free? Search for More Plants Online?